From the people that plunged you to the extra wet, body-drenched, Sol Exeo. The biggest organization that defied the limits of obscurity and gave you a whopping 4000 party-goers during Collision. Let curiosity take its place in you as De La Salle University’s Junior Entrepreneurs’ Marketing Association brings you yet another enigma. Evo ’15: UNVEIL. A lot more extreme as JEMA brings you an enigma that will puzzle your senses and play with your minds all night long. Experience the sickest beats in a phenomenal night with DJ Edleen Lim, DJ Arthur Tan, DJ Sid Aquilino, DJ Lucio Pua, DJ Katsy Lee, and DJ Marc Marasigan. Free-flowing surprises ensued and a midnight reveal that will blow your mind! 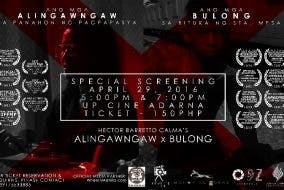 Tickets are available for P300 for members, P320 for non-members/outsiders, and P350 for door charge. You can also buy your tickets at Ticketworld. WATCH: "Love Has No Labels"